!!! Immaculate !!! 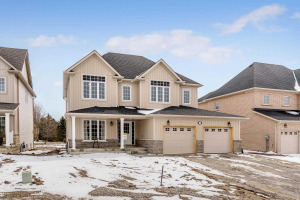 Just Over 1 Year Old Detached Located At New-Subdivision In Fergus !!! Very Practical Layout With Sep Living,Dining And Family Room !!! Huge Kitchen With Lot Of Dine-In Space !!! Main Floor Laundry !!! Entrance From Garage To Home !!! All 4 Bedrooms With 3 Washrooms On 2nd Floor Are Good Size With Lots Of Natural Light !!! Nicely Kept ,Ready To Move In !! !